We are fermenting change in the Bluegrass: Our kombucha is raw, alive, and unfiltered. We craft our kombucha in our brewery on our 12-acre farm and butterfly and bird sanctuary. We always use all certified organic, healthy and fresh ingredients to create a well-balanced flavor profile that is tart, lightly sweet and naturally carbonated. 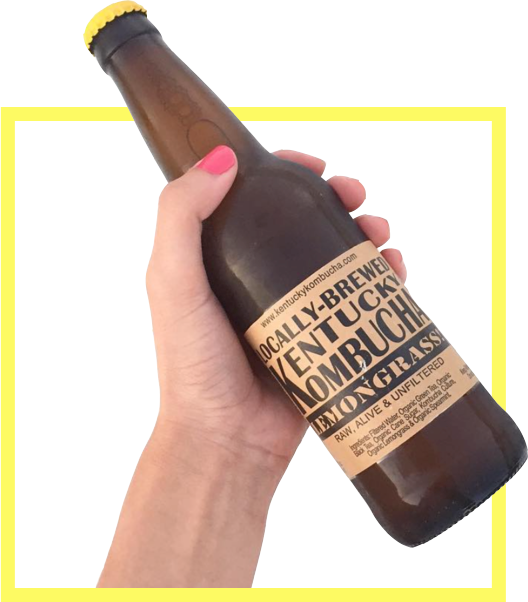 Kentucky Kombucha is an authentic kombucha: never pasteurized, filtered or force carbonated to provide you with a healthy drink that is full of antioxidants, probiotics, enzymes, vitamins, and minerals. You can find Kentucky Kombucha at these fine stores. We’d love to hear form you. Send us a message below or call us and chat.